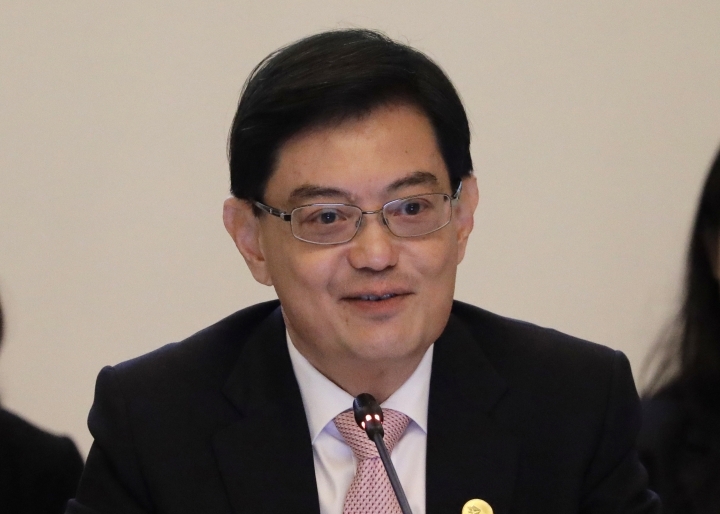 SINGAPORE — Singapore's ruling party on Friday promoted Finance Minister Heng Swee Keat to No. 2 post, making him a likely choice to succeed the prime minister. The People's Action Party has been in power since Singapore's independence in 1965, and holds 81 out of 87 seats in Parliament. The city-state of 5.6 million was founded by Lee's father, Lee Kuan Yew, who ruled with an iron fist and was credited with transforming the resource poor island into a wealthy bustling financial hub with low crime and almost zero corruption. "Leadership transition is always a complex and delicate matter," Lee said in a statement. "The younger ministers themselves must decide who is to lead them, as they have done in this process. This way, they will give their full support to the leader whom they themselves have chosen." Heng was the elder Lee's principal private secretary from 1997 to 2000. He has held various positions in the public service and was managing director of Singapore's central bank during the 2008 financial crisis. "He is experienced having held key positions in trade, the civil service and the police. A pair of safe hands is probably how his peers regard him," said Eugene Tan, an associate professor of law at Singapore Management University. He suffered a brain aneurysm during a Cabinet meeting, which led to a stroke. Law and Home Affairs Minister K Shanmugam said that Heng was "overworking so much" and "carrying an incredible load". According to The Straits Times newspaper, one of the first things he scribbled was: "Is there a Cabinet meeting today? Where are the papers?" Heng holds master's degrees in public administration and economics. He is married with two children.